Sunday Science Experiment: Soap Bubbles! 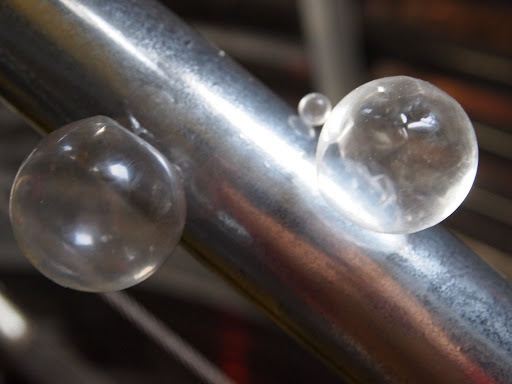 This week’s question was: Do soap bubbles freeze? If so, what happens to them then? Linda and I had been planning to do this one for a while, but kept getting distracted. We’d found a party-style bubble machine in the IT/Comms shop and decided that the low ambient temperatures and calm air of the Vertical Tower (aka “The Beer Can”) and the Logistics Arch would be good locations to try out. While we were getting suited up, Eric made the mistake of asking what we were doing, and was immediately enlisted to help out. No, actually, he volunteered enthusiastically – no one can resist the lure of Science. 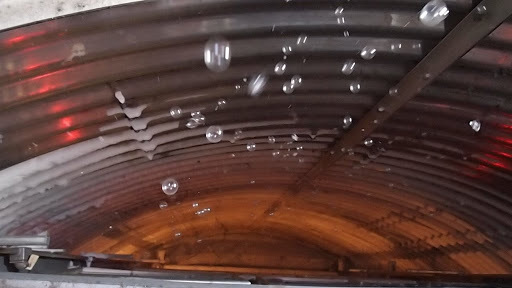 The soap bubbles plummeted rather quickly near the edges of the Beer Can; we didn’t have an easy way of testing whether this was due to their own lack of buoyancy or just downdrafts. The bubbles did not, in general, pop. They turned translucent after a few seconds and disappeared into the depths below. When they did hit anything, they either bounced off or stuck. Bubbles frozen to the hand rail. Bubble on right is cracked. 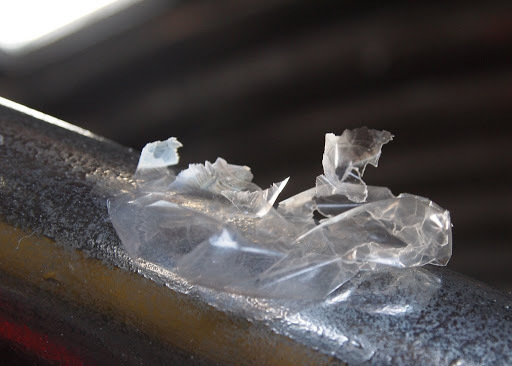 Some bubbles “tore” in midair, but rather than popping, tumbled as you’d expect a torn (not popped) plastic balloon to fall. 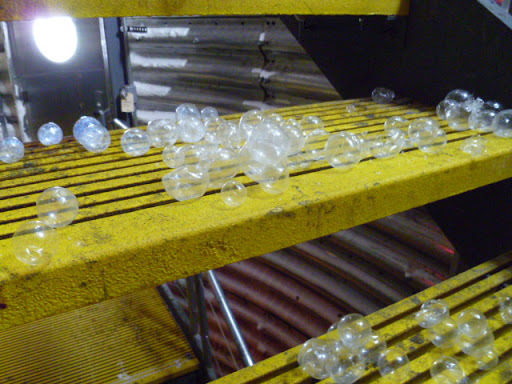 When we poked bubbles that had frozen to the railing, they tore, but either held shape or crumbled like thin plastic, rather than popping. They had the consistency not far from that of those rubber cement “permanent bubbles” you make from dime-store kits. 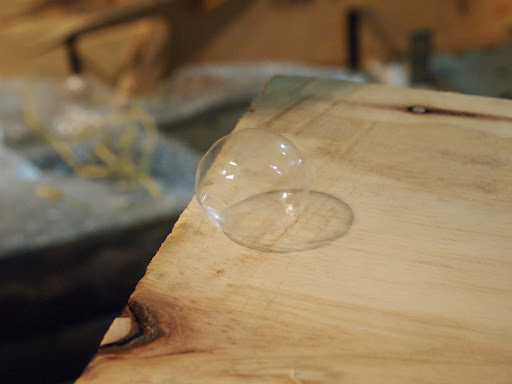 Eric rolled this bubble around on a plank for a while. At -55F, you can indeed shovel up fallen soap bubbles. Our trusty Mr. Bubble froze up after about 15 minutes of operation, so we had to give up for the day. 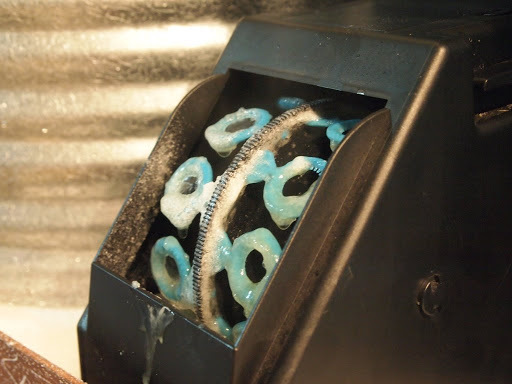 Plans for future experiments involve feeding the intake of the bubble machine with a heat gun, both to prevent freezing up, and also to see if the difference in interior bubble air temperature affects their lifespan and/or ability to float. A bubble machine? At the South Pole?? This doesn't sound like the frontier adventure you made it out to be.I don't want to tell you what one of those frozen bubbles looks like. Hey Pablo, just wanted to let you know that my daughter and I are enjoying your science videos very much. She is especially fond of bubbles so this was right on for her.